This section of the site covers interesting new products for Eco-Living. It will be updated frequently. 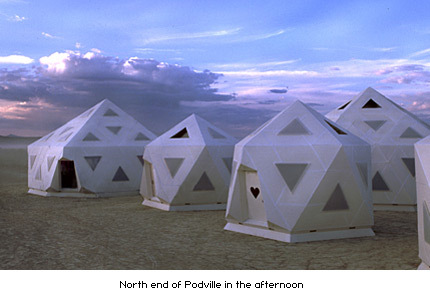 While everyone agrees that these pods look like something straight out of Star Wars, Icosa Village's collection of "Pod" prefab shelters are actually very down-to-earth. They are designed for use in a variety of recreational, promotional, and humanitarian applications. In addition to being very practical, they are also affordable and easy to assemble with the pieces snapping together like Erector Sets. 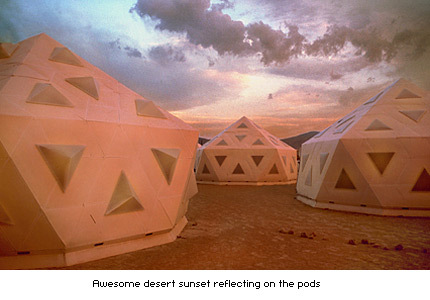 Prices begin around $2000 for the Bucky-inspired dymaxion shelters. 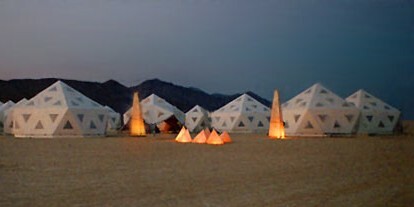 For more info visit the Icosa Village's website. 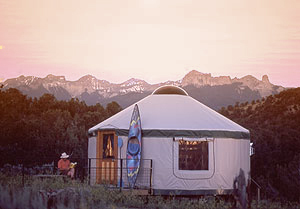 Ever since spending a significant amount of time in an updated version of the Mongolian yurt, back in 1994-95, I have been fascinated by them. They can be a thing of beauty especially when the sun hits the hardwood floors. Their open circular interior encourages social interaction making them ideal for workshops, group meetings, yoga studios, as well as art studios, guest rooms, and disaster recovery shelters. Heating is normally provided by a wood-burning stove in the center. 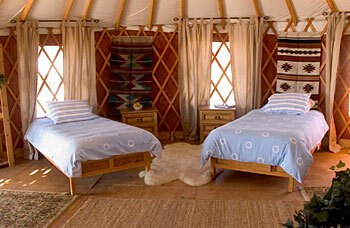 If you have raw land out in the country or need a second structure on your main property, a yurt is a relatively inexpensive option. 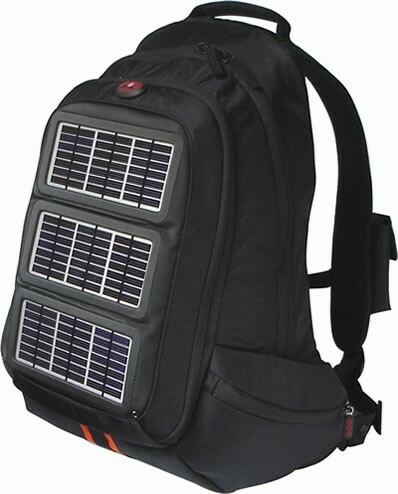 These bags have built in photovoltaic panels feeding solar power to a recharging system for your small electronic gadgets. 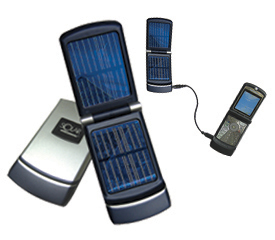 These are our newest solar chargers some of which come with a built in radio and flashlight. 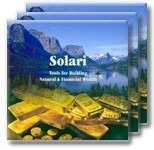 Click to view solar chargers. These are a truly remarkable set of seminars available in both CD and mp3 formats on how our financial system really works. Ms. Fitts, who holds an MBA from one of the top business schools in the nation (Wharton), also served as Assistant Secretary of Housing/Federal Housing Commissioner at HUD in the first Bush Administration. She possesses the ability to explain our economic system in terms almost anyone can understand. If you have had an uneasy feeling since the 1980s that Wall Street has decoupled itself from Main Street, you will find out why you are correct. Ms. Fitts calls it the tapeworm economy. A tapeworm is a parasite which releases a hormone into its hosts which makes the latter crave what the tapeworm needs in order to survive. Not only do these seminars explain how the tapeworm economy functions to bleed individuals and communities, but they also offer solutions which can be implemented at both the individual and community levels. Read about the tapeworm economy here. Clothes removed from your washer still contain considerable amounts of water. A tumble dryer takes up to an hour to remove that water, while the tumbling wears out your clothes, and the heat costs you money. 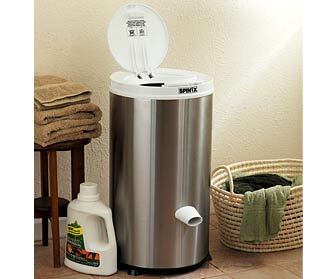 Then comes the new energy efficient Spin X dryer. In just three minutes at 3,300 rpm, Spin X removes 60% of the water with centrifugal force. Clothes come out barely damp, greatly reducing or even eliminating expensive dryer run time. UL-approved. 1-year mfg. warranty by the U.S. importer. Site and Content © 2006 to ∞ - www.karavans.com - All Rights Reserved.